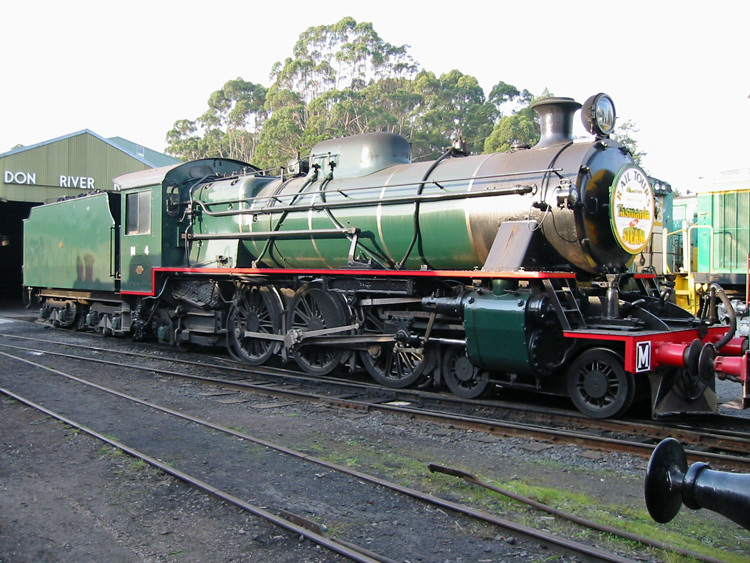 M4 is seen outside the running shed at Don in this photo of 24 March 2004. M4 is now preserved operational at the Don River Railway's excellent heritage railway precinct and workshops at Don in Tasmania's north, from where it occasionally ventures onto the main line on rail tours. 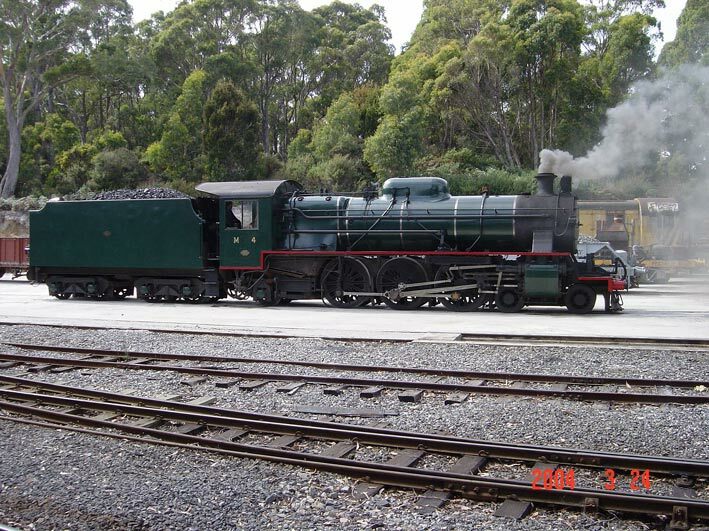 M4 as the webmaster found her on 8 May 2003, awaiting her next steaming at the Don River Railway.